When it comes to omelets, the balance needs to be just right. Achieving just the right amount of fluffiness, cheesiness, and flavor is an art to master and these great omelet places in Delaware have it down. Whether you’re searching for a classic cheese omelet or something more adventurous like a pizza omelet (yes, pizza), then head to these 10 awesome spots in Delaware! Established in 2000, this colorful eatery offers vegetarian-friendly meals, local art, and regular live music. Enjoy made-from-scratch food for vegans, vegetarians, carnivores, gluten-sensitive eaters, and families alike. Omelet options include the Tex-Mex made with roasted fajita vegetables, queso fresco-jack blend, black beans, guacamole, and chipotle sauce, or the Kennett Square made with Portobello, shiitake, oyster, button mushrooms, and Swiss cheese. Yum! This Italian restaurant is known for its modern interpretation of classic dishes and using only high-quality fresh ingredients. Also famous is their breakfast menu where there are 19 omelet offerings, and, in case you were wondering, yes, a scrapple omelet is one of theme. Plus, each omelet is made with three eggs and served with home fries and your choice of toast. This casual spot offers Greek and American diner classics, like chicken and dumplings and cream chipped beef, but it is also the place to get all-day breakfasts and three-egg omelet choices like feta cheese and spinach, ham, sausage, bacon, and more. Plus, all omelets come with home fries and your choice of bread, steak roll, bagel, English muffin, Kaiser roll, or tortilla. At Glasgow, they have got a little bit of everything, including a breakfast menu to write home about. Choose from specialty and build-your-own breakfast sandwiches, breakfast platters, and three-egg omelets, featuring 15 options to choose from. All omelets, of course, come with home fries and toast, and you can substitute in eggs whites at no additional cost. Established in 1851, this landmark tavern with Revolutionary War roots now features a bar, American fare, and the so-called “best brunch in Newark.” With 22 draught beers, Deer Park offers a beer for almost every hour of the day, but they also offer a weekend brunch that features historically-awesome omelets, like the seafood omelet and the Blue Hen omelet with scrapple. For 18 years this old-school diner with traditional booth seating has been dishing up American soul food in a casual, throwback atmosphere. Find specials like pot roast, prime rib, and fried chicken, and plus get homemade burgers and 13 choices of omelets, including the monster five-egg omelet. Plus, don’t miss favorites like the pizza omelet and cheese steak omelet. The Omelette King was born in 1995 when chef Jim Spicer began dishing up fresh, delicious, house-made breakfasts for the local community. 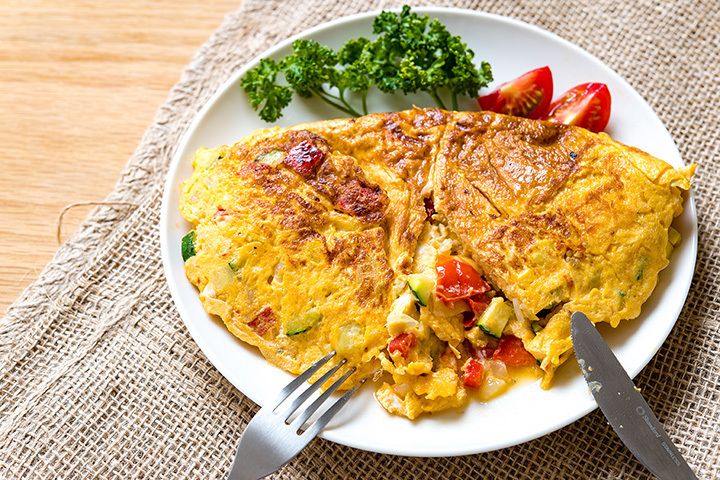 The delicious omelet option is actually a “kitchen on wheels” catering service. Wherever you want the Omelette King to go, it’ll get there. Featuring omelets and pastries for any occasion, the Omelette King makes eggs any way, including with flavor combinations like smoked ham, button mushrooms, sharp cheddar cheese, caramelized onions, and more. ChesDel is constructed from two diners, and the name comes from a combo of Chesapeake and Delaware. That said, the restaurant opened in 1979 and offers pancakes, Texas French toast & Belgian waffles, three-egg omelets, country sausage gravy, and more. There are six signature omelets, including Rueben and rye, plus build-your own. Proving yet again that some of the best dishes come from a food truck, Po’ Boys offers some of the freshest seafood around, po’boy sandwiches, and a gumbo that will knock your socks off. On Sunday, you won’t find a better poached egg with hollandaise or crab omelet. Plus, to top it off get Bloody Marys and mimosas.